The 9th edition of the Campari Calendar shows a change of style. Campari Tales, the concept for the year 2008, is a glamorous story book for grown ups. The central character of all twelve fairy tales is the charismatic Eva Mendes. The fairy tales that enchanted our childhood have been updated: Red Riding Hood, Cinderella, Snow White are independent women who write their own stories, now. And..oh, yes, they're all dressed up in designer dresses: Max Chaoul, Roberto Cavalli, Elie Saab, Alberta Ferretti. The native shaman and his sacred rituals are the starting point of this "Automne Indien" photo shoot published in the September issue of Vogue Paris (France). The result is a glamorous and wild look. Coarse leather, fur and feathers are teamed up with pearls, sequins, embroidery and sparkling appliquÃ©. Contrasting elements merge in perfect complicity and the history is rewritten, the West is regained. Luxury brands are teamed up: Ralph Lauren, Just Cavalli, Fendi, HermÃ¨s, Lanvin, Dior, Louis Vuitton, Alexander McQueen, John Galliano and Jean Paul Gaultier among others. Sasha Pivovarova is once again a Vogue star. She appeared in the September issue of Vogue Paris in a fashion shoot named "Femmes d'envergure", a redefinition of the 80s Power Woman trend. Voluminous sweaters, gabardine jackets in white, grey and black, with oversized shoulders, are worn with skin-tight denim jeans or leggings "stained" with paint. This androgynous look is mellowed by a playful attitude. The Power Woman of the new millennium is not that uptight any longer, she can allow herself to "fool around". And Sasha portrays her perfectly. Sandrina Fasoli, along with her business partner designer Michael Marson, won the big prize at the first Mango Fashion Awards edition, on Tuesday, the 6th of November 2007. Their Spring/Summer 2008 collection brought them a financial reward of 300.000 euros. Both Sandrina and Michael graduated from Ecole nationale des Arts visuels de la Cambre in Brussels and since 2003 they form a professional acknowledged creative duet. They won several fashion competitions among which the First Prize of "Modo Bruxellae" in 2006. 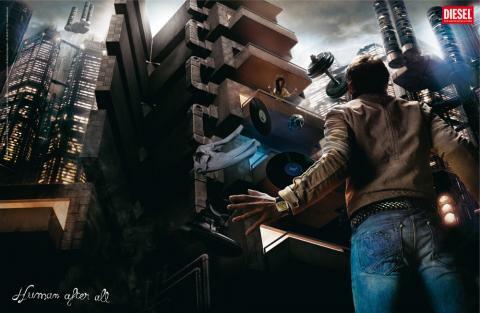 "Human After All" is the latest advertising campaign for Diesel denim. The seven frames take us into a technology ruled future as opposing to the "Fuel for Life" Diesel fragrance ads. A future that is still human as this clever Diesel ad accentuates. Even though technology takes big steps as clones' nurseries, teleportation and space ships will be common aspects of life, some things will never change and that implies the human nature. Diesel Fuel for Life is the new fragrance by Diesel for men and women. 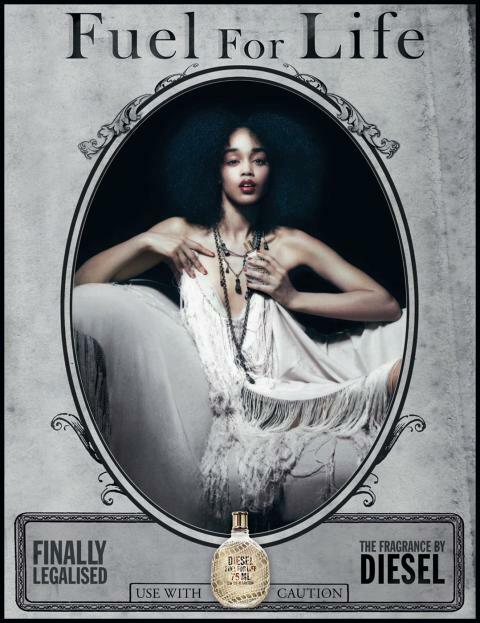 Based on the looks of the bottle, reminding of an old whiskey bottle, the whole advertising campaign uses vintage reference and a sort of a saloon feeling. "Finally legalized" and "Use with Caution" can be read on the printed ads. Forbidden pleasure is not illegal anymore but is still as dangerous. The art direction is great as well as the copy. Maybe they should have stick to prints, TV ads kill the mystery. This print ad for ZU Shoes is, despite beliefs, targeted towards women not to men. I say this because I found it very disapproved byâ€¦men. The concept of â€œfemme fataleâ€ is so common in fashion advertising, whether itâ€™s clothes, accessories or fragrances. I donâ€™t think itâ€™s such a great print either but it s not the worst ever. As long as women think is logic and they buy it, then this ad has done its job.